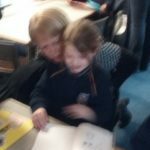 The children of Rang 1 had a most memorable day with their Grandparents today. 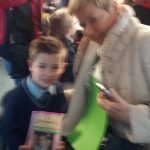 Grannies and Grandads travelled from far and near to be with our first class children today….and what a reception they got! The children have been preparing over the past few weeks and have completed projects, pictures and cards for the special adults in their lives. 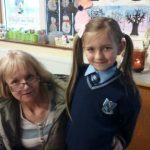 In completing these projects the children had the opportunity to interview their grandparents on topics such Where they grew up, Memories they have of growing up, The games they played, Their favourite subjects and much more. The children thoroughly enjoyed working as historians and learned a lot in their research. As the children entered the hall there was an air of excitement and eager grandparents waited to catch sight of their equally excited grandchildren. It was smiles and waves all round before the children performed. Rang 1 then proceeded to sing songs that they have been learning during the year. 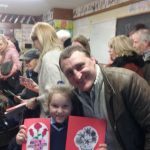 The children sang their hearts out and were very proud of themselves on stage and we were all delighted to hear our grandparents join in for some old favourites such as Cockles and Mussels, My Bonne lies over the Ocean, and You are my Sunshine. 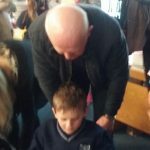 Following the performance Grandparents were invited to visit the classrooms where they had an opportunity to view the children’s work and find out what it is like to be in Rang 1 these days. Many photographs were taken to capture these special moments. The children then released some balloons in memory of grandparents that could not join us today. The children gave a proud rendition of Amhrán Oilibhéir before they said goodbye to our very special guests. 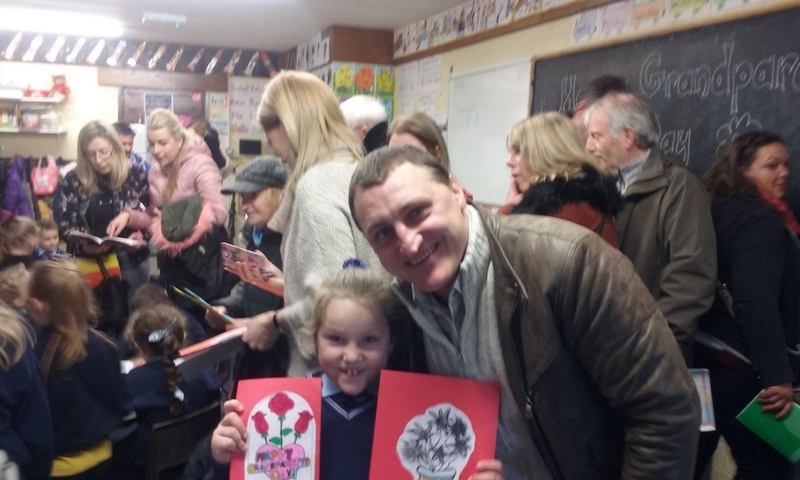 The teachers and children of Rang 1 would like to sincerely thank the Grandparents and Parents for attending this important event. 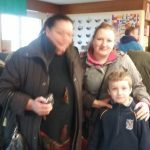 We would also like to thank the Friends of Scoil Oilibhéir who were on hand to greet our guests with a welcome cup of tea or coffee. Ní dhearmadfaimid go deo an lá speisialta seo.